Hopes fade for Cardiff striker Sala as final message emerges - SABC News - Breaking news, special reports, world, business, sport coverage of all South African current events. Africa's news leader. Cardiff called off Tuesday's training session and stunned supporters laid flowers and scarves outside the club's stadium. 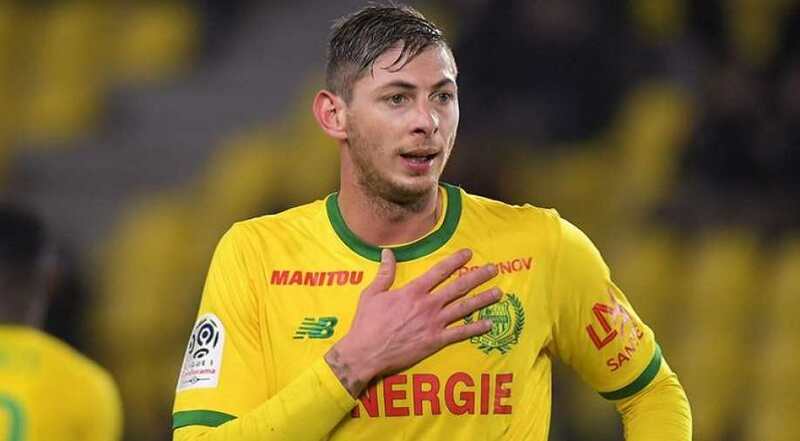 Hopes faded on Wednesday of finding Cardiff City striker Emiliano Sala alive, as it emerged the Argentine had sent relatives a desperate message shortly before the light aircraft he was flying in disappeared over the Channel. Floating objects have been found in the water and police on the British island of Guernsey, which sits off the north coast of France, have warned the chances of the passengers surviving were slim. As rescuers in three planes and a helicopter scoured the sea, Argentine media reported that Sala sent a final message before the plane disappeared from radar around 20 kilometres (12 miles) north of Guernsey on Monday night. “I’m on a plane that looks like it’s going to fall apart and I’m leaving for Cardiff. If in an hour and a half you have no news from me, I don’t know if they will send people to look for me because they will not find me, you know… I’m so scared,” the 28-year-old said in a rambling WhatsApp audio message. The player’s mother, Mercedes, told Argentine television channel C5N that the plane belonged to Cardiff chairman, Mehmet Dalman but he disputed the claim. “I can say to you categorically that the plane had nothing to do with Cardiff City. I can’t tell you who arranged the flight because I don’t know,” says Dalman. The pilot, the only other person in the plane, was named in British media as 60-year-old Dave Ibbotson, a married father of three from Scunthorpe in northern England. Rescuers on Tuesday said they had covered an area of 1,155 square miles (3,000 square-kilometre) in the Channel spotted “a number of floating objects in the water”. In an update on Wednesday, Guernsey Coast Guard captain David Barker said there was “as yet no trace today of the missing aircraft”. Ken Fairbank, a former AAIB investigator, said it was “extremely unlikely now that anyone would be found alive, even assuming the aircraft made a controlled ditching”. Fairbank said details were still sketchy but weather “may have been a factor… as it seems to have been overcast and with some mist at the Channel Islands airports”. Cardiff’s Executive Director, Ken Choo, said they were all very shocked at the news. “We continue to pray for positive news,” says Choo. Cardiff called off Tuesday’s training session and stunned supporters laid flowers and scarves outside the club’s stadium. “The excitement of a new signing arriving at your club can bring so much happiness. That’s how we felt about Sala. He was the one who was going to turn our fortunes around and score the goals that would keep us up. He was going to be the one adored by the fans, including me. But within a few hours so much has changed,” says 24-year-old Cardiff fan, Josh Thomas. Argentine football legend, Diego Maradona, said he was hoping the plane had simply gone astray. “I hope it went to the wrong airport and we find him alive, that’s all,” says Maradona. “We feel great sadness of course and we send all the strength and love in the world to the relatives, close friends, and people that know him. And of course we never lose hope until the end,” says Real Madrid coach Santiago Solari. This entry was posted on 23 Jan 2019,06:53PM at 6:53 PM and is filed under Sport, Homepage Latest Stories Slider. You can follow any responses to this entry through the RSS 2.0 feed. Both comments and pings are currently closed.